Download "PREPARING FOR GRADUATE SCHOOL IN COMPUTER SCIENCE"
1 PREPARING FOR GRADUATE SCHOOL IN COMPUTER SCIENCE Department of Computer Science Grove City College The faculty have put together this brief introduction to graduate school in computer science or computer information systems. 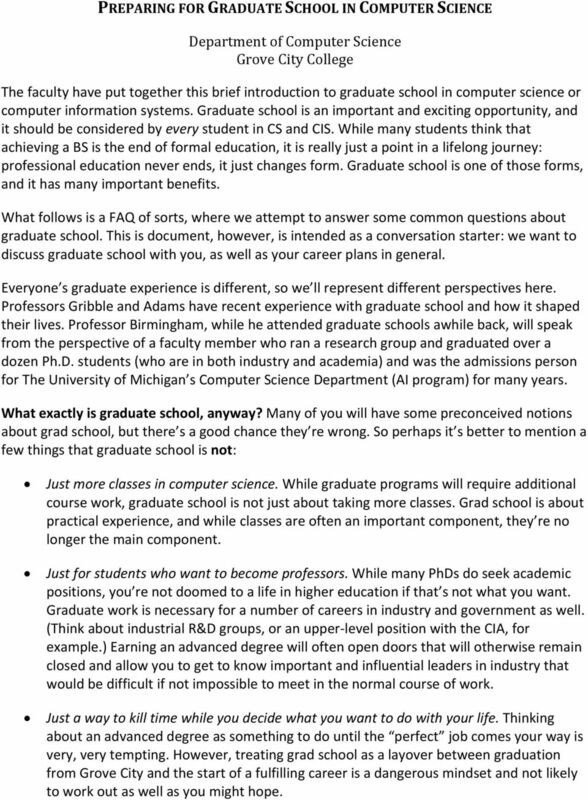 Graduate school is an important and exciting opportunity, and it should be considered by every student in CS and CIS. While many students think that achieving a BS is the end of formal education, it is really just a point in a lifelong journey: professional education never ends, it just changes form. 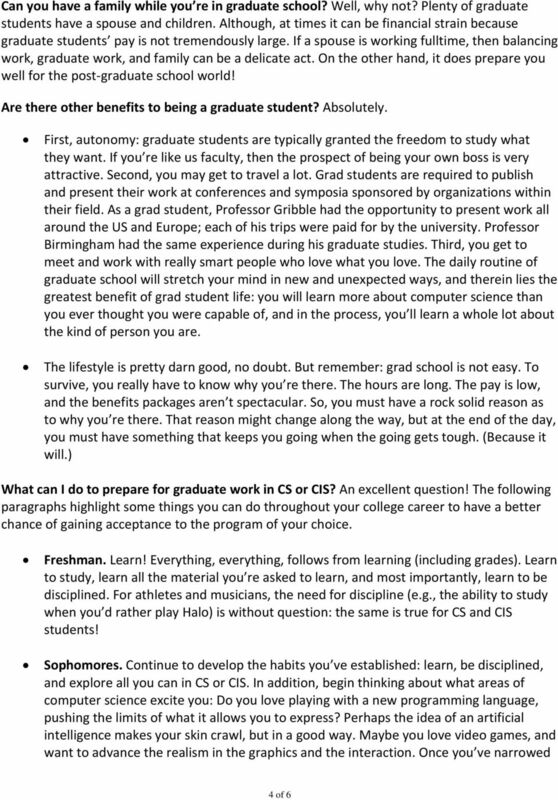 Graduate school is one of those forms, and it has many important benefits. What follows is a FAQ of sorts, where we attempt to answer some common questions about graduate school. 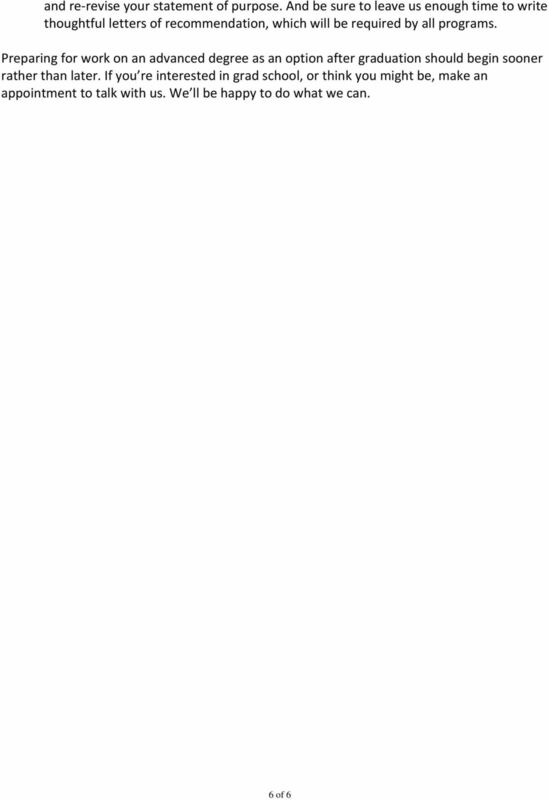 This is document, however, is intended as a conversation starter: we want to discuss graduate school with you, as well as your career plans in general. Everyone s graduate experience is different, so we ll represent different perspectives here. Professors Gribble and Adams have recent experience with graduate school and how it shaped their lives. 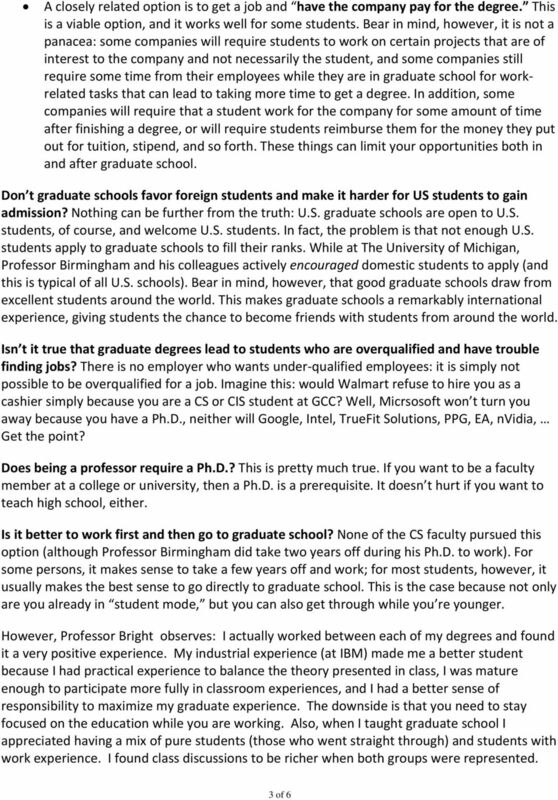 Professor Birmingham, while he attended graduate schools awhile back, will speak from the perspective of a faculty member who ran a research group and graduated over a dozen Ph.D. students (who are in both industry and academia) and was the admissions person for The University of Michigan s Computer Science Department (AI program) for many years. What exactly is graduate school, anyway? 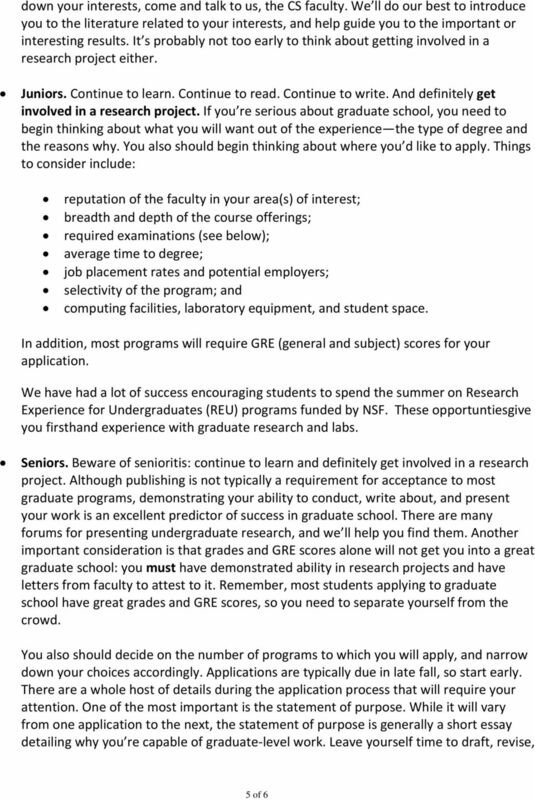 Many of you will have some preconceived notions about grad school, but there s a good chance they re wrong. 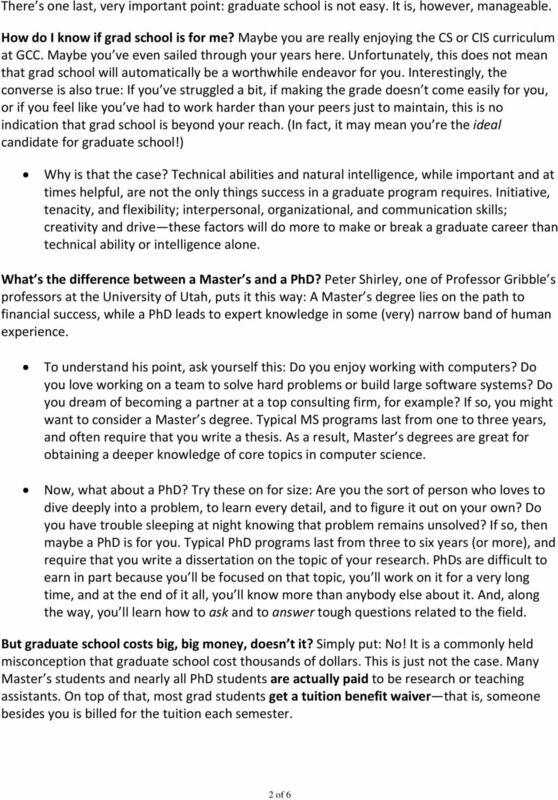 So perhaps it s better to mention a few things that graduate school is not: Just more classes in computer science. While graduate programs will require additional course work, graduate school is not just about taking more classes. Grad school is about practical experience, and while classes are often an important component, they re no longer the main component. Just for students who want to become professors. While many PhDs do seek academic positions, you re not doomed to a life in higher education if that s not what you want. Graduate work is necessary for a number of careers in industry and government as well. (Think about industrial R&D groups, or an upper level position with the CIA, for example.) Earning an advanced degree will often open doors that will otherwise remain closed and allow you to get to know important and influential leaders in industry that would be difficult if not impossible to meet in the normal course of work. Just a way to kill time while you decide what you want to do with your life. Thinking about an advanced degree as something to do until the perfect job comes your way is very, very tempting. However, treating grad school as a layover between graduation from Grove City and the start of a fulfilling career is a dangerous mindset and not likely to work out as well as you might hope. Q: When can I apply to the program? Why do I need at least a year of life experience? Graduate School. Undergraduate students assist faculty members in a program of research What would I do as a research assistant? What programs do they offer? Athletics, clubs, study aboard and, of course your area of study.